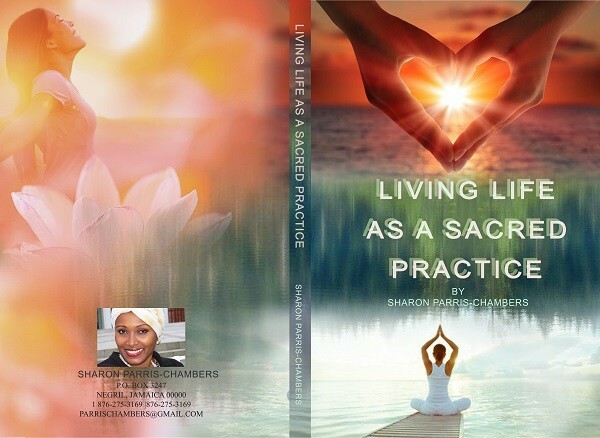 When Sharon asked me to be part of 'Living Life as a Sacred Practice,' her groundbreaking undertaking, I paused. What an an honor, but respectfully, I asked for a day or two for reflection. I accepted, satisfied that I measured up ethically to the trust placed in me. my Anam Cara - a term used by the Gaels to define their village confidante or confessor. I have known Sharon for a decade and throughout, she has never wavered in her commitment to exploring philosophical truths and justice. There's a magic, a transcendence, an authenticity to Sharon that eludes many in the field of wellness. It is no secret that self-styled gurus have preyed upon the unsuspecting, the vulnerable and the neophyte. For sure, the purported road to the promise land is littered with charred psyches and disillusionment. Weighed down by a relentlessly unforgiving fast-paced lifestyle, the soul cries out for restoration, for meaning, for eternal validity. New Age Thought has responded becoming the new Zeitgeist, the new reality. But what began as a genuine attempt to heal the psychically and emotionally wounded is now marred by commercialism and downright duplicity, hubris and prevarications. The genuine master is a gem, a rare find - a breath of free air amid a palpable stench. Sharon is that master. 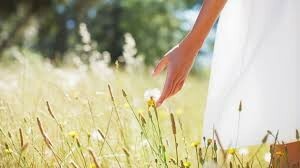 She expresses gratitude to her ancestors and elders for instructing her on life's meaning and the ways of nature. 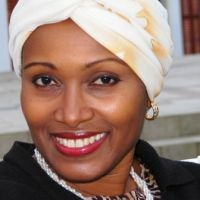 Her 2012 return to her roots in Gambia unveiled her calling and sealed her mission as a veritable messenger of Spirit. It is in Gambia that she was grounded and initiated into the innermost mystery. It is there that she drank from the well of the First People and was handed the fabled Philosopher's Stone. phase. Sharon returned to the village of Kanili. It was there that she received one of many initiations. She was handed the proverbial scepter from the elders, a symbol of authority as teacher and mystic. Her extended sojourn in Kanili authenticated and forever grounded her spiritual standing. Humble, she guards her experiences. Sharon continues to learn, mastering spiritual disciplines of the east and west as she fulfills her divine mission. Living Life as A Sacred Practice encapsulates decades of learning that challenged her resolve, her character, her spiritual pedigree. Now, Sharon offers her counsel and guidance to us. Every word is judiciously used. Every sentence intuitively carved. Every stanza measured with deliberation. And we are moved. We listen and reflect. Her words ring true. "Humanity is entering the Age of Aquarius where harmony, peace and love will be the currency of exchange," she pens. Know Thyself is the beginning of wisdom, the Aristotelian adage tells us. Sharon reinforces this principle. Love ourselves we are told. How else can we be of service to others? She then expounds, "I must first recognize in me the need to heal myself, to heal my soul through speaking to my heart with these words. 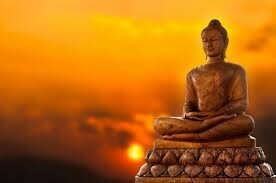 Living Life as a Sacred Practice is a literary monument that unravels life's deepest, overarching mysteries. Life is a gift to be nurtured Sharon tells us; that our existence is profoundly meaningful, and that we are sparks of the living God. Indeed, no greater personage than Jesus brought us this message in John 10:34. Centuries later, Sharon Oshun Chambers has dared to echo the same. It was a time when I was experiencing many personal dramas and did not know the way out of life’s dilemmas. So I turned to prayer and found it to be a lifesaver. I also prayed endlessly the Asking Prayer: Tell me what to do? And how to do it? I was on a quest to find my purpose in life. What I was experiencing was a spiritual crisis – searching for meaning, truth and purpose in life. God took charge of my life and gave it back to me. One day, after I moved from New York to Atlanta in 1997, Carol O’Connor, Minister of Unity Church of Christianity in North Atlanta asked me to share this poem with the Wednesday night class. I did, and by sharing this poem, I became aware that I had a responsibility to share with many others the message of hope, peace and love contained in this poem and those that I would write in the future. I subsequently became an ordained non-denominational minister with Universal Brotherhood ministry in 1998 and spent the next twelve years touching peoples’ lives through counseling, poetry, motivational speaking, teaching children and training teachers in the international Living Values Education program as the National Coordinator for Jamaica, West Indies. I have received the gift of inspiration to write poetry and prose, which has personally sustained me over the years. I cannot resist the inner urgings to share this gift of inspired poetry, quotations and affirmations with as many people around the world as possible, so that they too may find peace, joy, understanding and purpose in their lives. “Poetry from the Rose of Sharon – Divine Thoughts and Inspirations for Living Well” came about because I took the first step in 1997 to express the “Secret person of the heart” – my Divine Self. Section I. Self Discovery and Awareness reflects a time early in my Conscious development as a poet beginning in June, 2001 and continuing through September 2011. My mentors asked me to do some introspective work, which resulted in the creation of the following poems: Who am I?, I AM not my Name, Mystic, I am a Divine being, Spirit Purify Me and Eye AM all that. Section II. Stream of Consciousness reflects a coming into awareness of myself as a poet, an observer and a scribe. It is a time of finding my own rhythm and coming into my own light that eclipses the latter period of Section I. Using my native patios (a mélange of English and other languages) I penned “Bosey Bosey Gal!” to tell the story of Terry-Ann’s heightened confidence after she passed her Cambridge exams. I found my voice to say to a dear friend that he walked like he had oil wells in his backyard – “Yu too Bosey Bosey” (great confidence). Section III. Motivational Poems and Wellness Quotations begins with the poem “Greatness in You” which was written November 22, 2000. 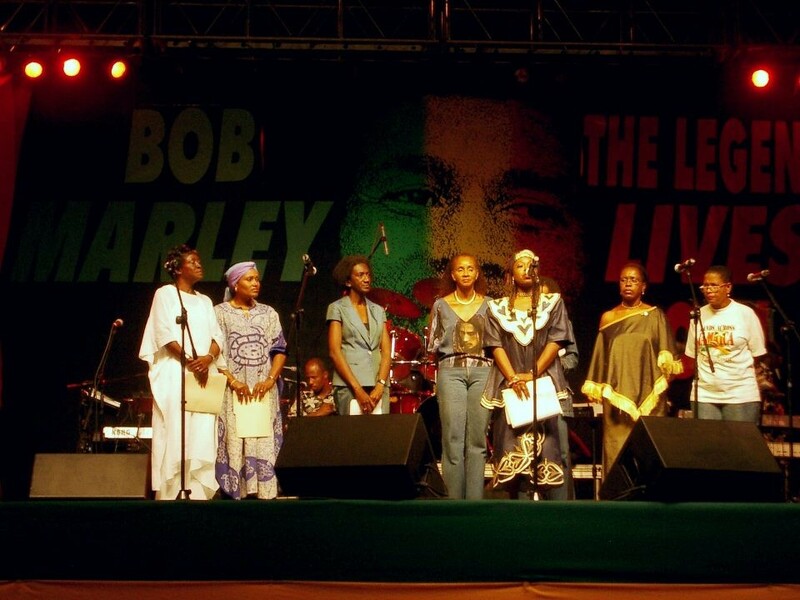 It was performed as a Tribute for Bob Marley’s 60th Birthday at the national celebration concert, Kingston, Jamaica, W.I. The event was produced by Jamaica Cultural Development Commission in collaboration with Robert Roskind, Concert Promoter from North Carolina. I added the phrase as a “One love vibration...Vibration...Vibration” in memory of Bob’s universal message of unconditional love. 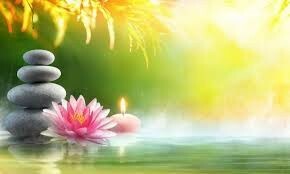 This vibration can help us to overcome any physical pain and suffering and elevate us to a spiritual high. The message of the poem is to remind us of our greatness in the now and to know that yesterday, we were kings and queens and that we still have greatness within us, in our genome, and in every fiber of our being. The following poems: Insource before you outsource, Think your way out of the box, You are the environment and it is you and Messengers of Yesterday and Today are everywhere, all seek to bring to awareness to the truth of the Divine Self, expressing as you and I in the physical world. The Wellness Quotations had its genesis from the daily quotations that I have been writing since 2007 and published weekly in our online eNewsletter, Positive Tourism news (www.PositiveTourism.com). I decided to give more depth to the quotations in this book and these came about in a most natural and harmonious way. In addition, I received further inspiration during the time that I was associated with the Wellness Cluster in Jamaica 2008-2010. It was a time of definition, searching and working as a collaborative group to produce goods and services for our individual entities as part of the Micro, Small and Medium sized Enterprises (MSME) sector in Jamaica. 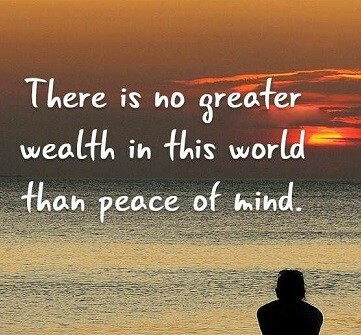 The focus on wellness helped me to reach within to tap into the source of all good – Divine Spirit. The result is a series of Wellness quotations entitled ‘Wellness is,’ which were adapted into the book God vs. Judaism & Christianity by my husband, Theo Chambers. The poem You are the environment and it is you was written June 14, 2001. It was inspired by one of my mentors, Wayne Dyer and his book Manifest your Destiny. The thoughts in the poem caused me to reflect in this way: “As human beings we have surely left our negative impact on Mother Earth, the air and the marine environment without taking full responsibility for it... Dug into her belly to remove Bauxite, Gold, Diamond ore, cut down her trees, created nuclear wars and nuclear blowouts, i.e. Chernobyl, Acid Rain, Polluted aquifers, acidification & coral bleaching. If you were to see the Earth and Nature as your extended body, yes, as a part of you! Would you destroy it or would you take care of it? Section IV. Prayers and Affirmations reflect the power of recognizing yourself as a Divine being. This is where you begin to practice what you believe and what you know intuitively. There is also a section to write your own Prayers and Affirmations. I enjoyed writing these affirmations because I wanted to share with you some of the affirmations that helped me through difficult times. Please let me know if any of these poems, affirmations and quotations has special meaning for you by sending me an email to parrischambers@gmail.com. The poems you are about to read range from the very first prayer written in 1997 to recent works penned in January 2011 under the pen name of “The Rose”. When we remain as our intrinsic selves, we stand firmly in our Truth as Divine beings. 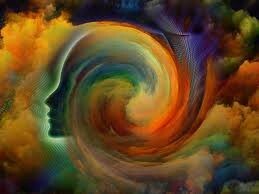 Get out of your conscious mind to discover who you truly are. 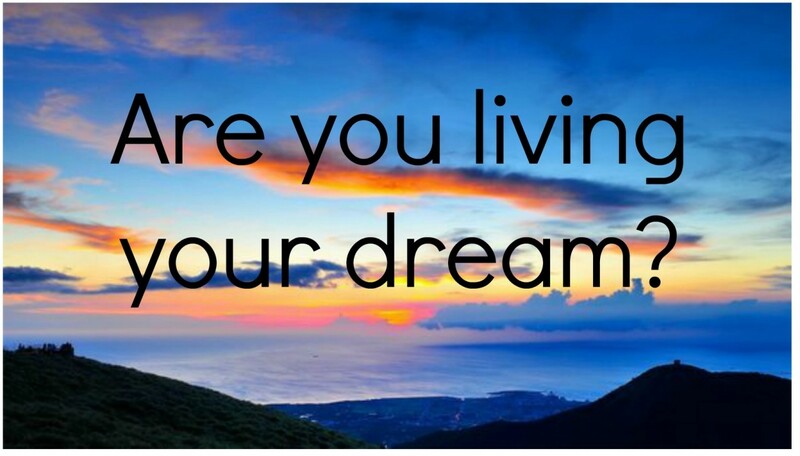 Daily Motivational Quotes my Sharon Oshun Chambers.